By Zhao Yusha (Global Times, 22 June 2018) – The joint construction by China and Nepal of a cross-border railway connecting the Tibet Autonomous Region with Kathmandu is vital to Tibet’s development and stability. China and Nepal agreed to hasten the implementation of the Memorandum of Understanding on Cooperation under the Belt and Road initiative to enhance connectivity, covering vital components as ports, roads, railways, aviation and communications within the overarching framework of the trans-Himalayan Multi-Dimensional Connectivity Network, the Chinese Foreign Ministry said on Friday. A new line will connect the Gyirong trading port in Xigaze, Tibet with Kathmandu, Vice-Foreign Minister Kong Xuanyou said at a briefing on Thursday. “Such a project is of great significance to Tibet’s development and stability,” Hu Zhiyong, a research fellow at the Shanghai Academy of Social Sciences’ Institute of International Relations, told the Global Times. Nepal attaches great importance to Tibet, because this region has frequent trade and energy cooperation with Nepal, said Zhao Gancheng, director of the Shanghai Institute for International Studies’ Center for Asia-Pacific Studies. For Chinese companies doing business with Nepal, trains are the most convenient means of transportation for sending goods from cities in Tibet to Kathmandu. The railway’s extension from Xigaze to Gyirong is highly anticipated. The Guangdong-Tibet-Central South Asia freight train was launched with linking China and Nepal in mind, a Lhasa official involved in the project, who preferred not to be named, told the Global Times in a previous report. However, Hu said that India may resist the railway’s construction as the country believes Nepal is heavily dependent on it. 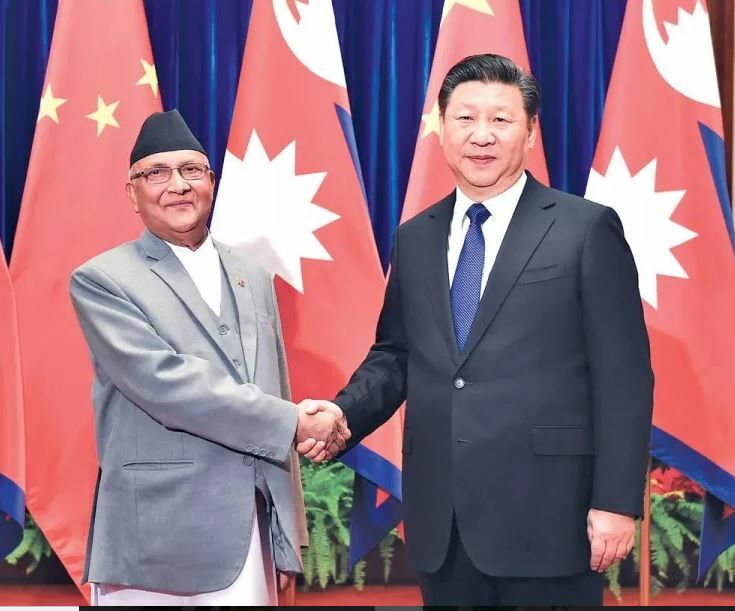 China has long proposed that India join in cooperating with China and Nepal and build a trilateral economic corridor, but India sees it as a threat and has been distancing itself, Hu said. Times of India also noted in June that Prime Minister Khadga Prasad Sharma Oli visited China during his brief tenure as prime minister in 2016, when he widened China-Nepal ties by signing a transit trade treaty with China, and sought the expansion of road links through Tibet in addition to the extension of China’s railway network to Nepal through the Himalayas. Experts said the ball is in India’s court when it comes to building such a corridor. “India should put aside its narrow mindset and participate in border cooperation,” according to Hu.